Leaking air in a home can affect your heating and cooling systems — as well as your wallet. To ensure that the climate control systems in your home are working as efficiently as possible (and that your energy bills stay low), it’s important to make sure that all sources of air leakage in your home are sealed. At DeVere Insulation Home Performance, our Baltimore, MD insulation professionals proudly provide comprehensive air sealing services to homes across the region. Learn more about air sealing below and contact our team at (443) 770-1111‬ to set up a consultation and inspection today! Air sealing is the first step in any insulation project. 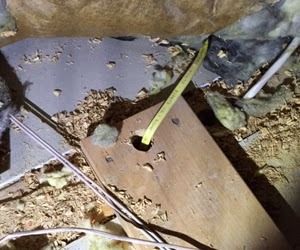 Air sealing involves blocking off sources of air leakage in the building’s envelope. When air is able to escape through sources such as light boxes, soffit drops, windows and other penetration points, your home’s energy system has to work harder to maintain the interior climate. Air sealing uses sealants such as caulking to ensure that conditioned air stays where it’s supposed to, saving you energy and money. Top plate sealing is perhaps the most important air sealing project for those who are building a new home or performing an extensive home remodel. Top plates are components of your walls that are only accessible during construction. Oftentimes, home construction teams will leave a small space between top plates to allow the home to settle. When this doesn’t happen as planned, those gaps can be a major airflow problem. If you are remodeling or building a new home, consider having your top plates air sealed. There are several advantages to having your home professionally air sealed. An experienced insulation contractor knows where to look for sources of air leakage – sometimes in areas you might not have considered. An air sealing professional will also be able to recommend the proper method to seal air leaks in your home and will be able to perform air sealing with a high level of precision. 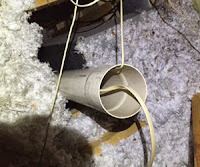 At DeVere Insulation Home Performance, our insulation experts have extensive experience air sealing homes across the greater Baltimore, MD area. We work efficiently to find all sources of air leaks in your home and seal them with the right products. Our dedication to excellent customer service has earned us countless client testimonials. Save energy and save money by having your home air sealed by our team today! 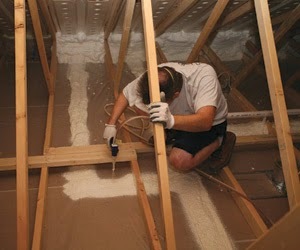 To learn more about our air sealing services, contact our Baltimore, MD insulation company at (443) 770-1111‬.